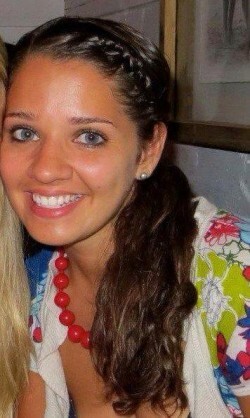 Victoria Soto (a teacher who was among the 26 people gunned down during the massacre at the Sandy Hook Elementary School in Newtown, Conn.) on Friday is being widely praised on Facebook as a hero after saving students in her class from being killed. News of the mass shooting believed to have been carried out by 20-year-old Adam Lanza captured the attention of the entire nation. But the tale of devastation at the Sandy Hook school is not without its heroes. The day after the shooting, when many people posted statuses sharing condolences for the families and friends who had lost loved ones, photographs of Soto began to go viral on the social-media website. Victoria Soto (27) a first-grade teacher at Sandy Hook Elementary School in Newtown, Conn., ushered her students into a closet, and in so doing placed her body between them and the assailant. “She was found huddled over her children, her students, doing instinctively what she knew was the right thing,” her cousin Jim Wiltsie tells ABC News. Soto was among the six adults, all women, killed in the Friday morning massacre that also took the lives of 20 children: 12 girls and eight boys. The gunman, identified as 20-year-old Adam Lanza, took his own life. His mother was also found killed in a different location. Though details of the 27-year-old teacher’s death remained fuzzy, her name has been invoked again and again as a portrait of selflessness and humanity among unfathomable evil. Those who knew her said they weren’t surprised by reports she shielded her first-graders from danger. This entry was posted on Monday, December 17th, 2012 at 10:00 am	and is filed under Tragedy. You can follow any responses to this entry through the RSS 2.0 feed. You can skip to the end and leave a response. Pinging is currently not allowed.